Taking care of your roof is an important part of home maintenance. Without the right care, you might find your roof looking worn or even leaking. That is where the team at Strongguard can be of great help. 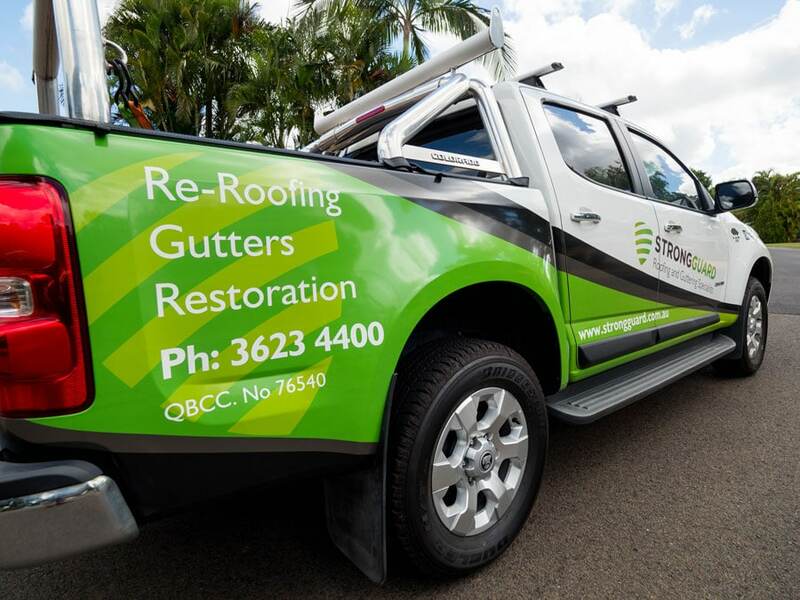 We specialise in roof care and our services are centred on meeting the roofing needs of Brisbane’s Southside. 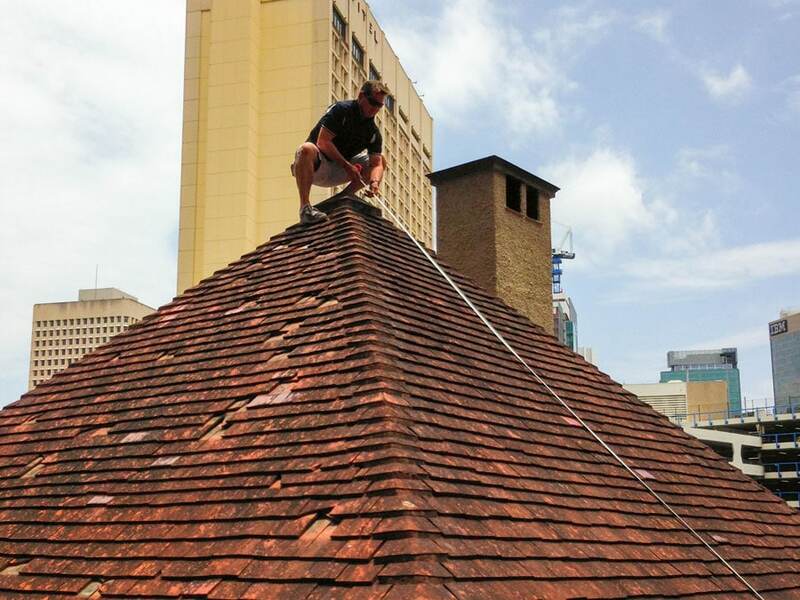 At Strongguard, we don’t limit ourselves to domestic roof maintenance. Our primary aim is to offer all your roofing solutions, from commercial overhauls, to standard repairs and even asbestos roof replacements. We take pride in offering the roofing industry’s premier products, with a wide range to meet your design standards. Having your roof repaired, restored or replaced is much like giving your home a facelift, with the benefit of enhanced durability. It might not sound like much, but a well-conditioned roof will do wonders to the street appeal of your home. At Strongguard, we offer a wide range of diverse roofing services. We understand that the roofing needs of Brisbane’s Southside are dynamic, with both commercial and residential buildings present in the area. To ensure that we have the right roofing solutions for everyone, we ensure that our products and services are of an unrivalled quality. With over twenty years of experience in the roofing industry, we know what is required for every job. 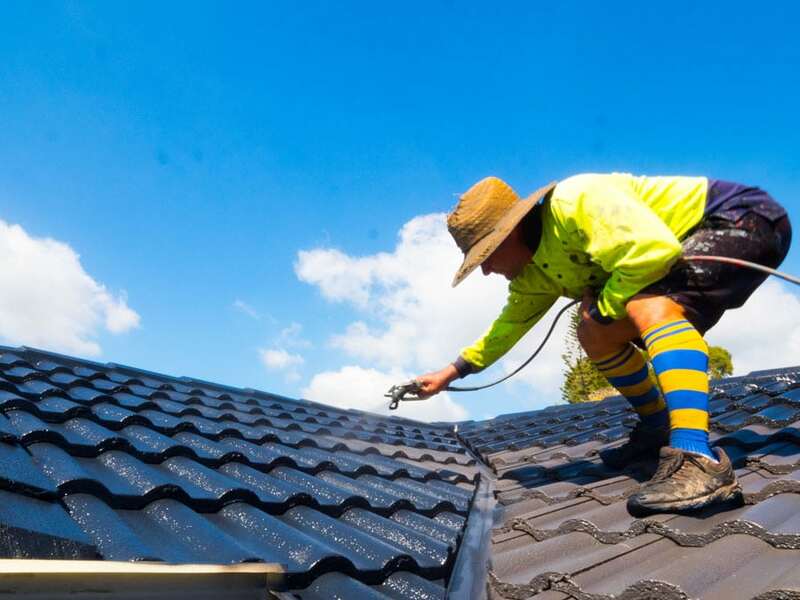 Our experience allows us to excel in all manner of roofing services, including roof replacement, restorations, gutter repairs or replacements, asbestos roof replacements and more. Each of our professional roofers is licenced and experienced, so you know that you’re getting the best. Here at Strongguard, we recognise that different people have different aesthetic preferences and this often shows in their choice of roof. Because of this, we offer a range of services for both tiled and metal roofing. Brisbane’s Southside has a very diverse array of roofing requirements. To make sure that we provide you with the right roofing solutions, we have created a targeted service process. This process allows us to determine what you need for your roof. We work with you throughout each stage of the project and our priority is your satisfaction. We like to make our services readily available to you, so all you need to do is get in touch. You can do this online or over the phone, depending on your own preferences. From here we will work out what your exact issue is, so that we can assess your options. Following this, we will allocate an estimator to conduct a site visit and make a quote. This is mostly free, however we do charge for some commercial and insurance-based jobs. Using the information that was gathered by our estimator, we will develop a quote. This quote will outline the details of the project and provide you with an overall cost. Our office team can either email the quote, or post it to you – whichever is more convenient. If you are satisfied with the terms of the quote, then all you have to do is contact us and confirm the job. Our team will follow the matter up with you and ensure that you are happy with everything. If you are happy with how everything is going, then we will allocate tradesmen to begin work on your roof. You can rest assured that our tradesmen are the best in the business, so you are getting quality workmanship. When the job is completed, we will begin our stringent quality control process. This involves a thorough inspection to ensure that all work is of a very high standard. Finally, we will send you a bill. All your warranties will commence upon payment of your bill. If you are looking for targeted roofing solution from the best in the business, contact Strongguard today. We have over twenty years of experience in the industry and our range of services is sure to meet your needs – whatever they may be. Our office is on standby for any enquiries and we are only too happy to answer any question you might have about your roofing options. #1 Do you offer warranties for the work that you do? Yes, we do offer warranties for our work. As a testament to the quality of our workmanship, we offer 10 year workmanship warranties for our roofing projects. In addition to this, you get supplier products warranties with your job. #2 How much industry experience does Strongguard have? 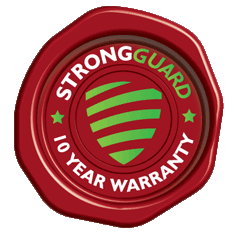 Strongguard was founded in 1996, which means that we have operated in the roofing industry for over twenty years. #3 Do you have a licence? At Strongguard, we are all licenced roofers and have a licence with QBCC (76540). Furthermore, we are members of the Queensland Master Builders Association, which is the premier industry association for construction contractors. This means we are backed by leading edge industry knowledge and connections. #4 Is Strongguard insured for both products and public liability? Yes, we are insured for both products and public liability. In fact, our policy insured us to the sum of $10 million AUD, so you can rest assured that your roofing project is protected. #5 How do I go about paying Strongguard when my job is finished? When your job is complete, we will send you a bill with payment terms of NET seven days from job completion. For your convenience, we do not require a deposit in most cases.